Showcase Cinemas will be running the film at 16 different venues with the English dub and Original Japanese audio with English subtitles twice a day. Nationwide screening across the country at over 120 venues. Many of which are already sold out! Most of the screenings will be the Original Japanese audio with English subtitles. Anime Limited have a range of screenings with independent cinemas booked for this period, estimated to be about 4-5 venues for now. 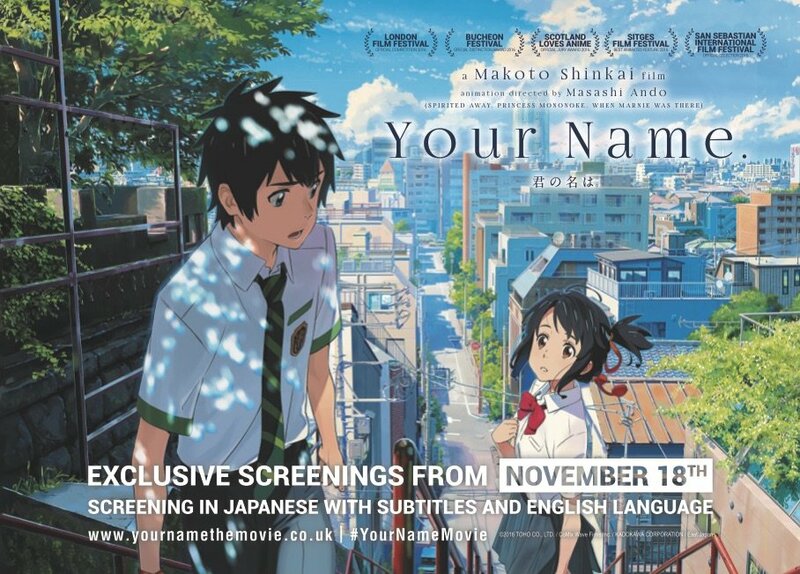 More venues may be added as the days go by, so best to keep an eye over on the official Your Name Cinema website! ENGLISH DUB CAST FROM NYAV AND TRAILER! Over in Japan, the film has now earned nearly 18.5 billion yen at the Japanese box office after dominating the number one slot for a total of 12 weeks (not consecutive as it was once pushed to number two by the latest live-action Death Note movie). In the overall box office chart, the film is currently the 7th highest grossing film of all time in Japan. The current holder at the 6th position is Princess Mononoke (at 19.4 billion) followed by Howl’s Moving Castle (at 19.6 billion) with the 5th position. 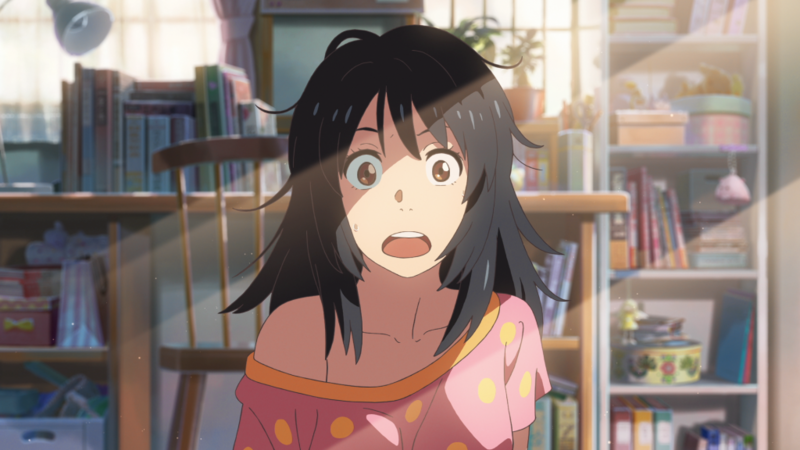 The film has also made some success with the critics with numerous praise and some even calling Makoto Shinkai the successor to Studio Ghibli’s Hayao Miyazaki. 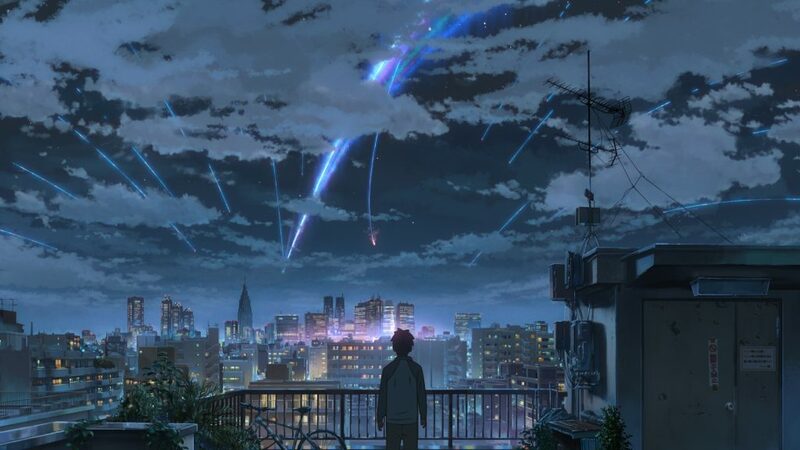 Your Name, also known as Kimi no Na wa., is currently Makoto Shinkai’s 6th major film. The 106 minute long film first began theatrical distribution on August 26th 2016 and has managed to maintain its position in the box office ever since. He also directed short films like She and Her Cat (Kanojo to Kanojo no Neko)  and have done promotional work with Taisei Corporation and Z-Kai [2011-14]. He’s even done work with the Japanese visual novel developer Minori for various Opening songs and trailers including ef ~ A Fairy Tale of the Two . 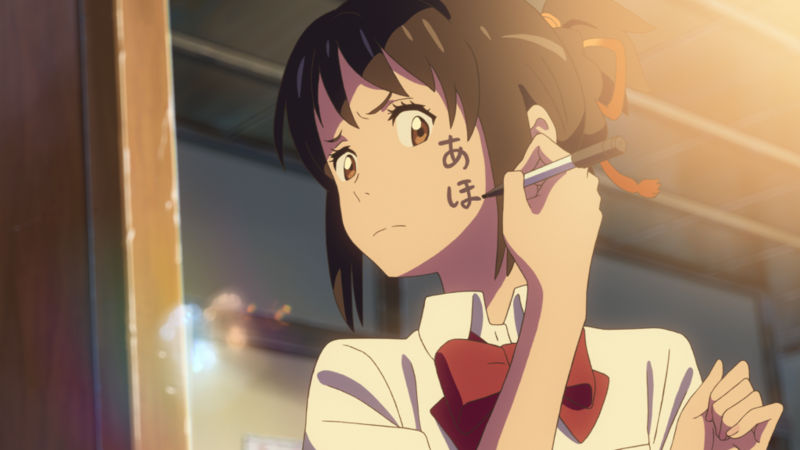 Your Name has been licensed by Anime Limited for theatrical and home release for the United Kingdom & Ireland. 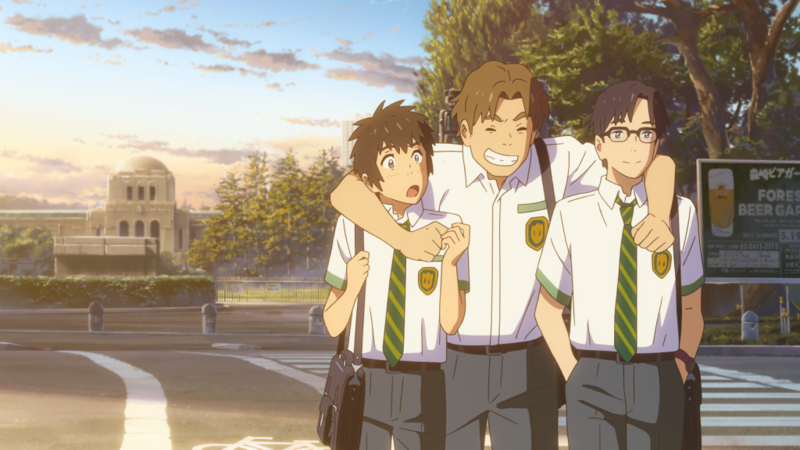 The home release will also include the film’s soundtrack composed by Radwimps. If you want a good head-start on checking out the director’s catalogue, Anime Limited will also be bringing The Place Promised in Our Early Days & Voices of a Distant Star on Blu-ray from November 21st in a collector’s edition combo pack which also includes the She and Her Cat short film.